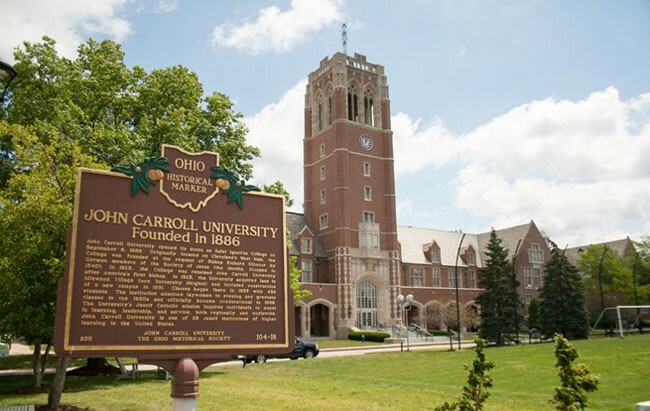 John Carroll University in Cleveland, the host of WUJA 2017. Participants hailed from 27 countries including Albania, Argentina, Australia, Brazil, Burundi, China, Columbia, Ecuador, France, Hungary, India, Lithuania, Mexico, Rwanda and Venezuela. WUJA was founded in 1956 in Bilbao, Spain, to commemorate the 400th anniversary of the death of St. Ignatius Loyola, the founder of the Society of Jesus. 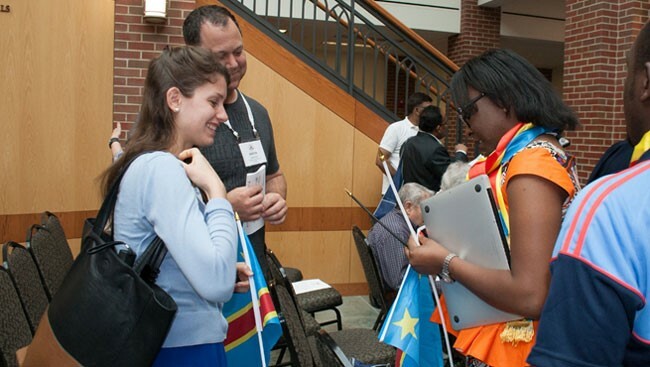 The organization gathers Jesuit alumni to build international networks and to discern how to promote peace and justice in a global and sustainable world. 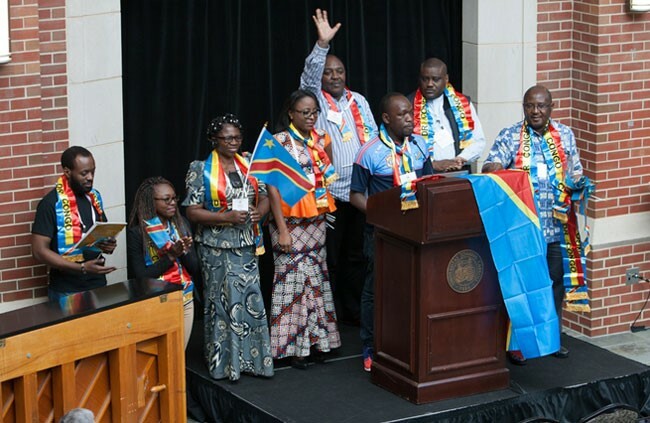 The WUJA delegation from the Democratic Republic of Congo invited participants to share in their independence day celebration on June 30. Past meetings have been held in Rome (1967); Sydney, Australia (1997); Kolkata, India (2003); Bujumbura, Burundi (2009); and Medellin, Colombia (2013). The next congress will be held in Barcelona, Spain, in 2021. The three-day program featured about 60 speakers and 30 breakout sessions on topics ranging from the arts, business, medical science and law to spirituality, service and leadership. Most notably, Jesuit Superior General Fr. Arturo Sosa, SJ, gave a keynote speech and question-and-answer session via video feed from Rome. “We are called to an attitude of encountering, getting out of our normal way of doing things, figuring out how to reach people where they are,” he told attendees. Other keynote speakers were Fr. Timothy P. Kesicki, SJ, president of the Jesuit Conference of Canada and the United States; Fr. Gregory J. Boyle, SJ, founder and executive director of Homeboy Industries in Los Angeles; Fr. 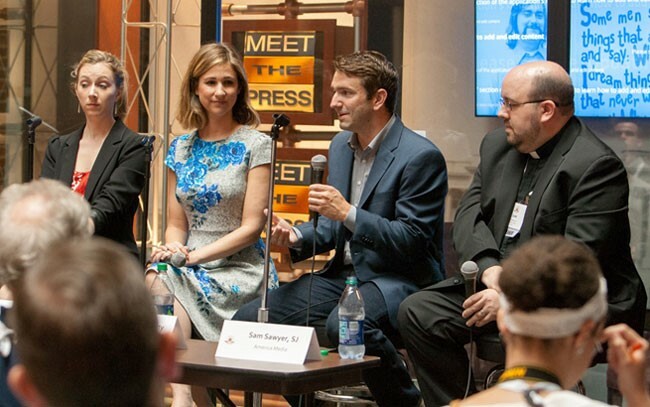 James Martin, SJ, author and editor-at-large of America magazine; Chris Lowney, current board chair of Catholic Health Initiatives; Katherine Marshall, a senior fellow at Georgetown University’s Berkley Center for Religion, Peace, and World Affairs; and Fr. Peter Balleis, SJ, director of Jesuit Worldwide Learning, providing certificate and diploma programs to refugee camps. 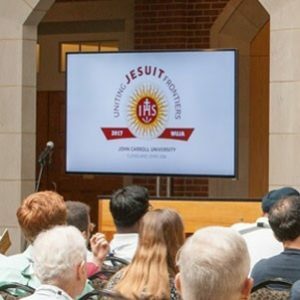 A Jesuit ministries fair included booths offering opportunities to learn more about organizations such as Jesuit Refugee Service, Loyola Press and the Ignatian Solidarity Network. Daily liturgy services were held at the Gesu Parish adjacent to campus, as well as nondenominational meditation sessions and morning prayer. The delegation from the Democratic Republic of Congo handed out flags to the audience in celebration of the DRC independence day. After each speaker and breakout session, reflection and discernment sections in English, Spanish and French were held twice daily to encourage discussions. 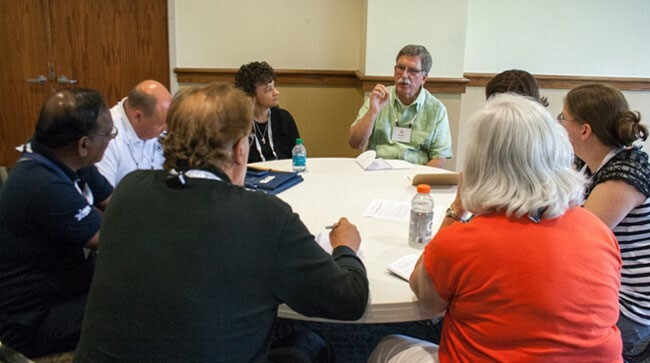 Reflection and discernment sections allowed WUJA participants to discuss ideas stemming from breakout sessions. 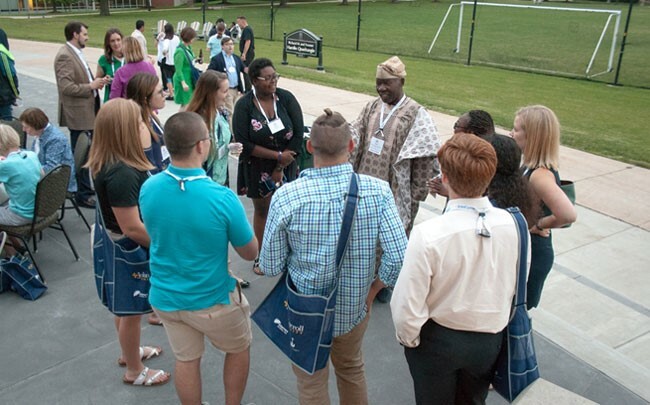 “WUJA reminds me a lot of the Ignatian Family Teach-In and how it addresses social justice issues and helps people learn,” said Faith Harris, a student from Wheeling Jesuit University in West Virginia. Participants enjoyed spending time together at events, including a dinner and social with local Cleveland food trucks, a night at the Rock and Roll Hall of Fame, a minor league baseball game and an evening with the Cleveland BlueWater Chamber Orchestra and Cleveland Chamber Choir. WUJA participants from Wheeling Jesuit University meet the chairman of the Council for Renewable Energy in Nigeria. Visit wujacongress2017.org for more information. 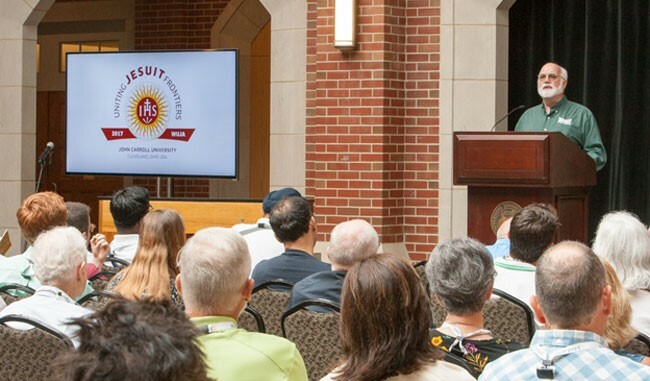 Additional photos are available on Flickr, and videos of livestreamed keynote speeches are available on the Ignatian Solidarity Network Facebook page. Pedro Arrupe, soon to be beatified? Merry Christmas and a happy 2019 to the Jesuit alumni! So why not join the WUJA Community and place yourself on the front line to receive WUJA’s publications (including the electronic magazine “The Jesuit Alumnus“) and other information about events that are organized within our worldwide movement?